If you’re in search for an adventure in the desert, look no further. Placed in the breathtaking desert of Atacama, Explora Atacama is your answer to an adventure filled retreat away from the modern world. A perfect base to link man and nature at one, the hotel is located in a remote desert that allows you to escape the contemporary world. With modern-day technology not being a necessity, Explora Atacama manages to retain an elegant and sophisticated style, making it the perfect homely retreat. Whether you want to bike, hike or go horseback riding amongst the scenic surroundings, the hotel offers more than 40 explorations in Atacama, leaving you with memories that will last a lifetime. Just a 90 minute drive from Calama airport, the Explora Atacama is cosily nestled on a 39-acre desert estate in the heart of Ayllu de Larache near the village of San Pedro de Atacama. Preserved with a long history, this spot was once a community owned by local Atacameno families. 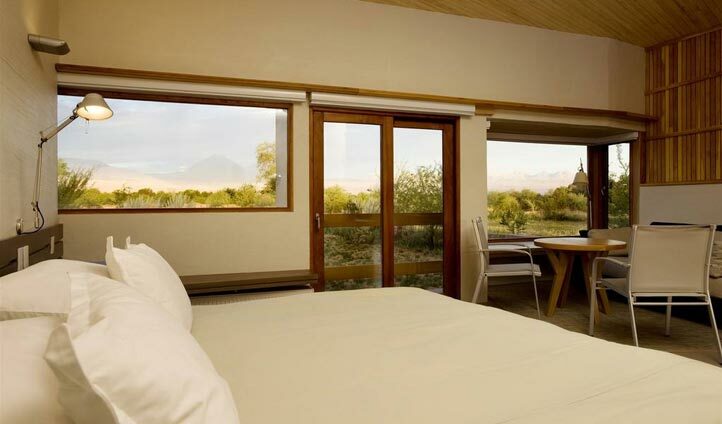 A spacious sanctuary that takes full advantage of nature and its peacefulness, your room at the Explora Atacama is the epitome of privacy, making it the perfect escape away from the modern world. With no inclusion of Wi-Fi and TVs, you’ll be heading back to basics right in the heart of the desert. Each of the 50 rooms is composed of a simple design with minimal decor, making it the perfect place to retreat back too after a day of exploring. The rooms feature an impressive scenic view of the beautiful countryside; an ideal way to peacefully accompany you as you rest those weary limbs after a day of adventures in the comfiest beds. 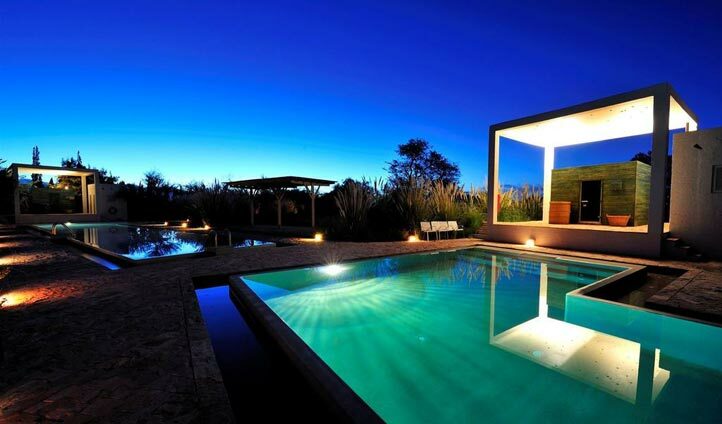 Simple yet elegant, Explora Atacama is a truly perfect escape from the modern world. After a day of activities, we love to come back and fully unwind in their tranquil spa. An oasis of serenity, the spa is composed of four dreamy pools that are surrounded by the most beautiful backdrop of luscious vegetation, where you’ll experience the height of ultimate relaxation.